And she succeeded in taking the affairs of the small country in her hands. She also holds the portfolio of Palau’s first Ambassador to the European Union and is also the first Permanent Representative of Palau to the United Nations Food and Agriculture Organization. She currently serves as the Vice Chair to the Bureau of the Committee on Fisheries at UN FAO. Ms Uludong has extensive experience in environmental and foreign policy in Micronesia and the Pacific region. She is an active public servant who has coordinated environment and climate change work in the Republic of Palau, Republic of the Marshall Islands, Republic of Nauru, Republic of Maldives, the United Nations Framework Convention on Climate Change (UNFCCC) process, and served as the Lead Negotiator for the United Nations Negotiating Bloc: The Alliance of Small Islands States (AOSIS) in New York City. As the Lead Negotiator for the bloc, she has represented over 40 nations negotiating on their behalf at the UN Climate Change talks. 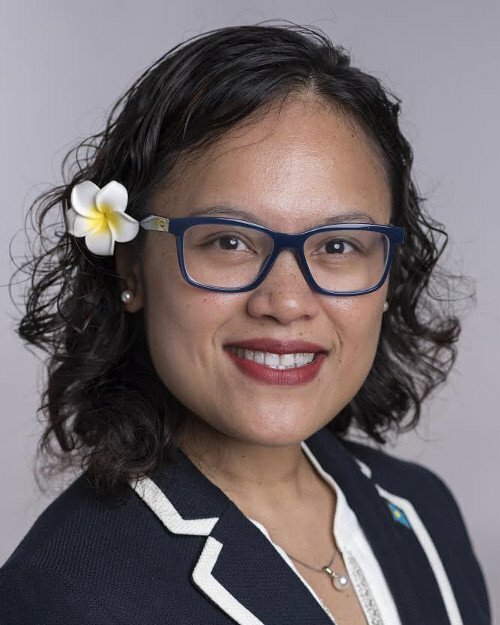 Ms Uludong holds a Master of Science in Climate Change and a Post Graduate Diploma on Climate Change, University of the South Pacific, a Bachelor of Science degree from the University of Guam and an Associate of Arts degree in Science from the Northern Marianas College. This portrait of Ngedikes Olai Uludong was first published by the Pacific Community for the 70 Inspiring Women campaign, it is reproduced here (with some modifications of our own) with their permission.